Review: John Turturro hadn’t read Umberto Eco’s thriller “The Name of the Rose” or seen the 1986 movie when he was approached in spring of last year about a new TV adaptation. After reading the novel, one of the best-selling of all time, Turturro agreed to sign on – if the producers agreed to honor the original, he says. 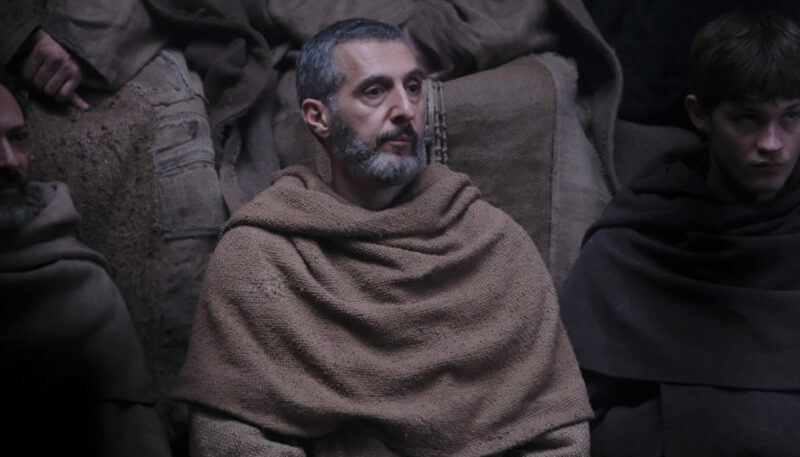 Turturro takes the role played by Sean Connery in the film, that of William Baskerville, the Franciscan monk investigating a series of mysterious murders in a 14th-century Italian monastery. Rupert Everett plays merciless inquisitor Bernard Gui, and Michael Emerson is the abbot among an international cast. The $26 million series will bow next year on pubcaster Rai in Italy and on cable network SundanceTV and its streaming service, Sundance Now, in the U.S.
Just as the novel has traveled the world since its publication in 1980, so the series will be an international property. It has been picked up by the BBC in the U.K., OCS in France, Sky in Germany, SBS in Australia and NRK in Norway, among others. Germany’s Tele München is handling sales. He adds: “I could always tell when it was Eco’s words and when it wasn’t, so we reverted to Eco’s words whenever we could.” The author died in 2016, but his son visited the shoot, which took place in Rome’s historic Cinecitta Studios, and in locations including Abruzzo, Perugia, and Umbria.